Semi-Finals of Southern Tier's Got Talent! The competition is heating up! 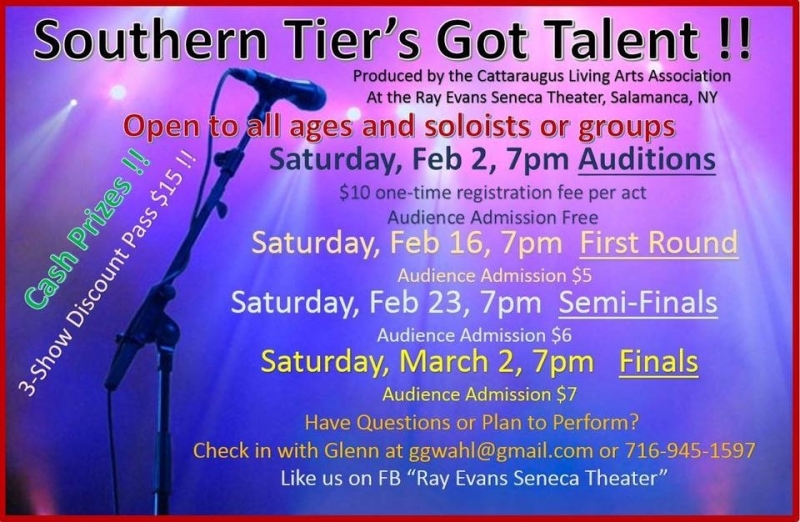 Come watch the Semi-Finals of "Southern Tier's Got Talent!". Produced by The Cattaraugus Living Arts Association and being held at the Ray Evans Seneca Theater, come and cheer on your favorite! 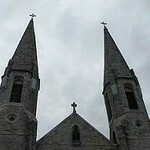 You will see performances by soloists and groups of all ages! Those that have made it through Round One will be performing tonight! Semi-Finals - Saturday, Feb 23rd, 7pm. Audience Admission is $6. Finals - Saturday, March 2nd, 7pm. Audience Admission is $7.